Correction: Lacey Fowler’s bail is currently set at $400,000 according to court documents and the San Luis Obispo County District Attorney’s Office. 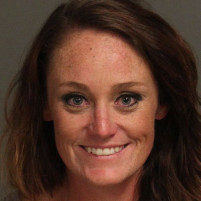 While dodging warrants for her arrest, former Cuesta College human resources analyst Lacey Fowler allegedly burglarized a commercial vehicle, forged a check and used stolen personal identification information to commit a crime. As a result, the court increased Fowler’s bail to $400,000. On July 7, Fowler, 29, cashed a $1,094.14 forged check at the Paso Robles Walmart, police said. The San Luis Obispo County District Attorney’s Office filed three additional felony charges on Thursday: burglary of a commercial vehicle, forgery and theft of personal identification. Several sources said they have spotted Fowler at the Paso Robles Target store and in San Miguel. In addition to this week’s charges, Fowler is facing three felony charges of possession of methamphetamine and cocaine packaged for sale, a felony charge of unlawfully accessing data, and misdemeanor charges of battery on a spouse and unlawfully violating a restraining order. Fowler’s previous bail of $115,000 is forfeited, according to court records. Lacey Fowler has a long criminal history that includes a 2005 alcohol related reckless driving, an Aug. 2006 drunk driving, a Nov. 2006 DUI, a 2007 drug paraphernalia conviction and an arrest in 2007 for felony burglary and forgery, according to court records. Nevertheless, in 2008, Cuesta College hired Fowler. Campus officials said they were aware of Fowler’s criminal history, but said they can only consider drug and child abuse charges when hiring. Several Cuesta College employees question how campus officials could place a person with a history of forgery as an top analyst with access to personnel information. Law enforcement began focusing on Fowler in late May after she downloaded her co-workers personal information. On May 31, Fowler, who had been out on sick leave for several weeks, allegedly breached the campus data system remotely and then emailed employee names, home addresses, email addresses, phone numbers and Social Security numbers to her private email account. On June 5, SLO County Sheriff deputies arrested Fowler for battery on her spouse and violating a protective order. 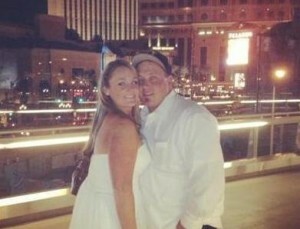 On June 9, Chad Fowler filed a temporary restraining order against his wife, Lacey Fowler. On June 11, Cuesta College Police officers and SLO District Attorney investigators searched the Paso Robles home of Lacey and Chad Fowler in response to the data breach and discovered more than four pounds of methamphetamine and heroin. The 30 acre property is owned by retired sheriff deputy Micheal Wasley, a relative of Lacey Fowler who was arrested several decades ago for child molestation in a case that tore apart the department. In the end, a jury found Wasley not guilty. Campus police then called in SLO County Sheriff’s narcotics investigators to assist. Sheriff deputies arrested both Chad and Lacey Fowler on charges of possession of heroin for sale and possession of methamphetamine for sale, with an enhancement for possessing more than one kilo of methamphetamine. On June 22, Cuesta College Police officers arrested Lacey Fowler on a felony charge of unlawfully accessing data. Shortly afterwards, both Lacey and Chad Fowler were released from the San Luis Obispo County Jail on bond. On July 6, Lacey Fowler failed to show for her hearing on the charges of spousal abuse, failure to comply to a restraining order and unlawfully accessing data. The court issued an arrest warrant and set her bail at $250,000. On July 7, Lacey Fowler allegedly burglarized a commercial vehicle and passed a forged check at the Paso Robles Walmart. On July 9, the court increased Lacey Fowler’s bail by $150,000 for a total of $400,000. Law enforcement officers throughout the county continue to search for Lacey Fowler.